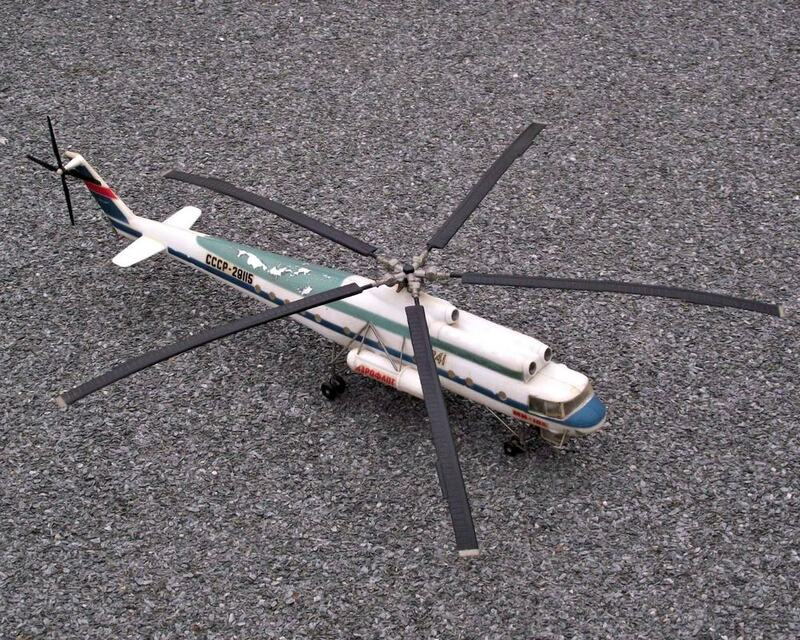 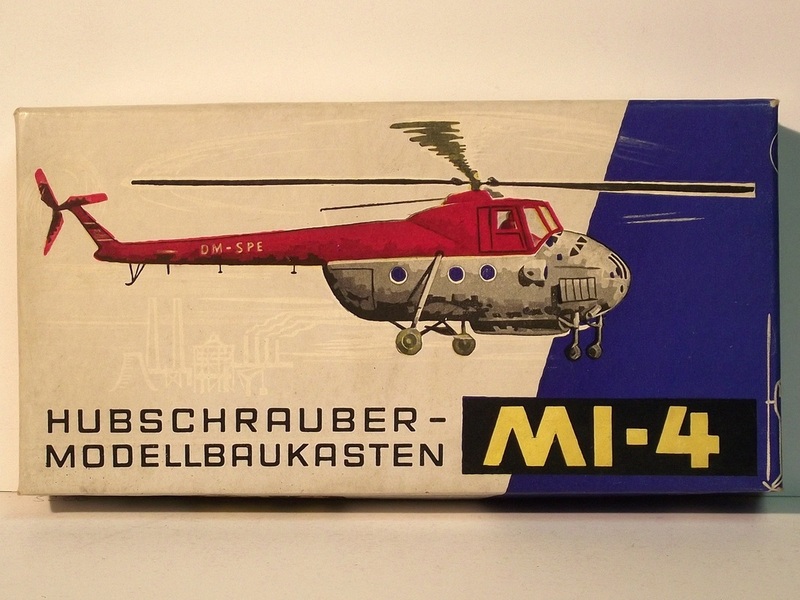 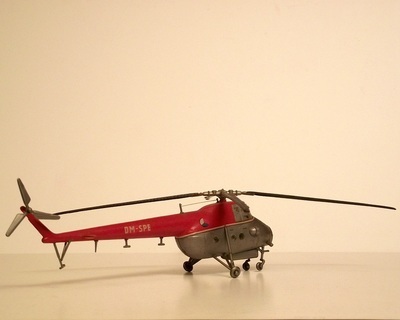 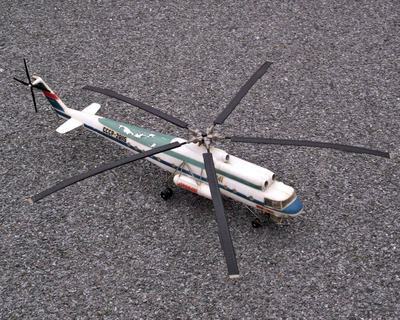 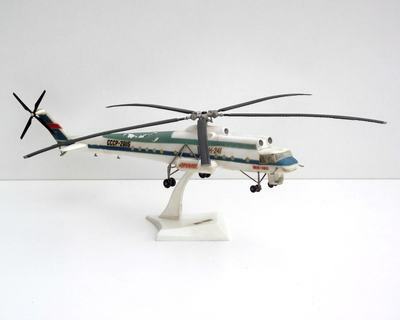 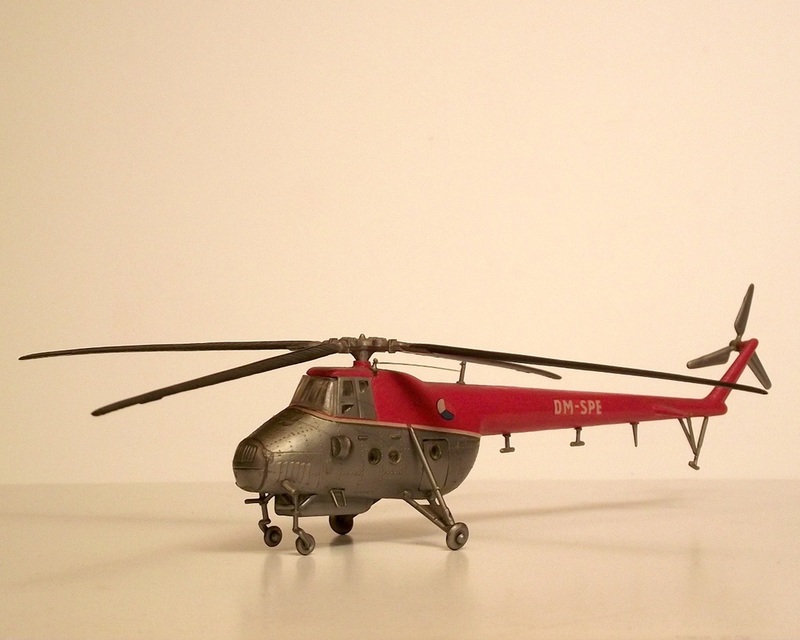 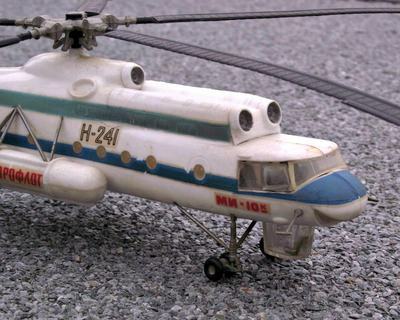 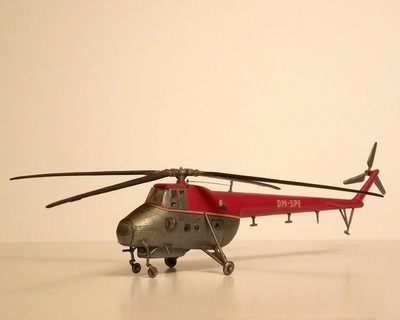 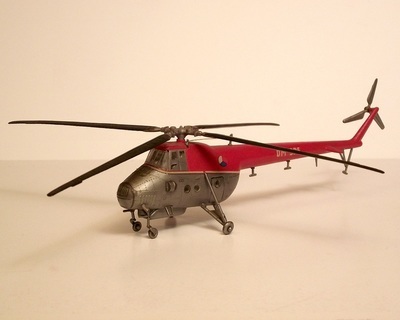 The MI-4 is a 1:100 scale plastic model kit made by VEB Plasticart from the former east Germany. I have two of these models, one is from 1970 (box art1 ) while the second one is from aproximately 1975 (box art2).This is a very detailed model, the top part was painted in red, using the included enamel paint during the assembly that took place around 1975. Included there were Soviet, Czechoslovak, Polish and east German decals. 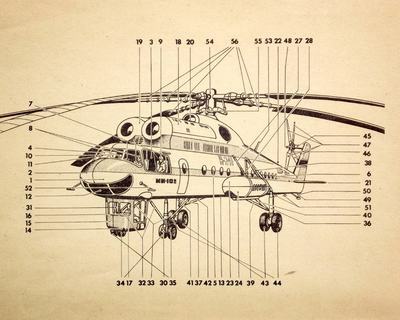 The MI-4 shown here uses the Czechoslovak marking. 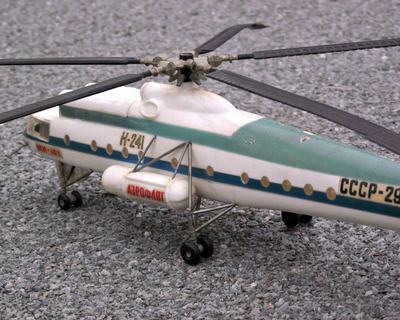 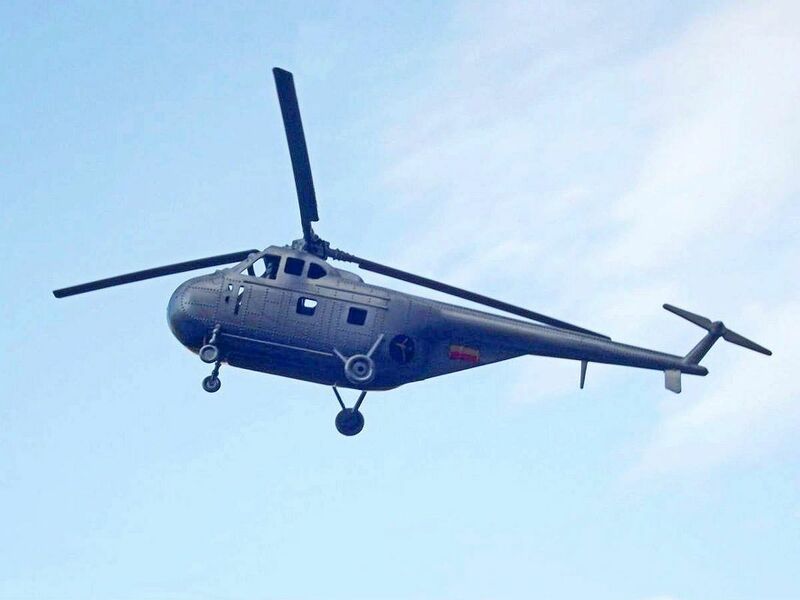 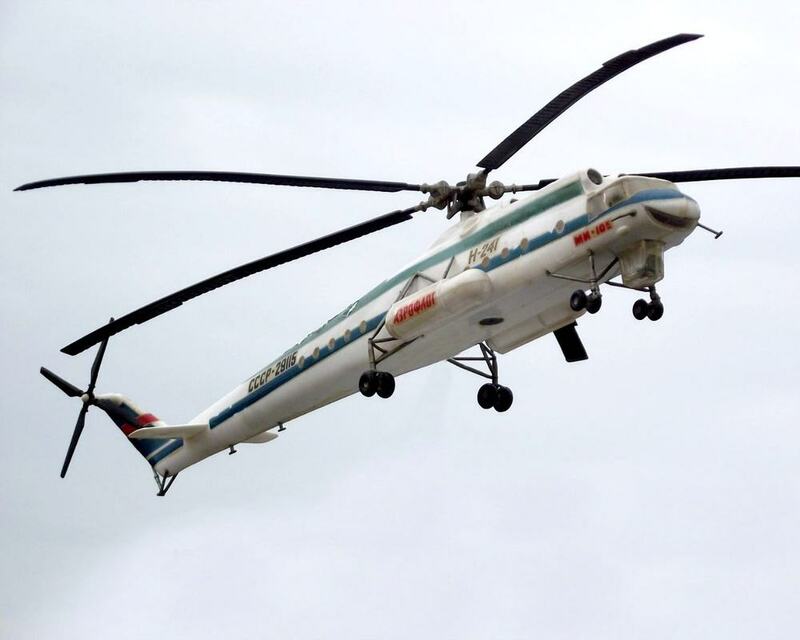 There were two versions of this helicopter, the MI-10 with long four-legged undercarriage and the MI-10K with shorter undercarriage, both have seats for 28 passengers in the main body. 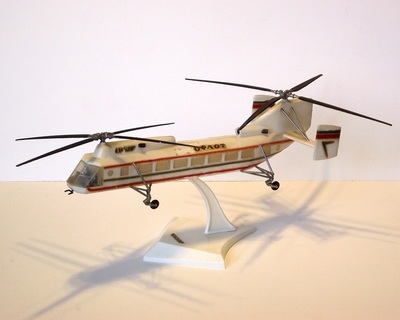 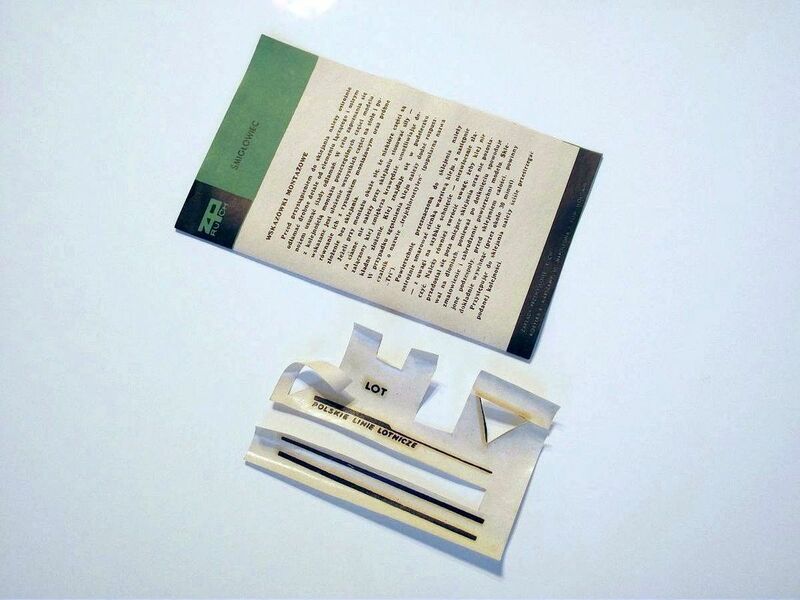 The presented plastic scale model kit was manufactured somewhere between 1974-1976 (there is no marking of the manufacturing date on the "Packzettel") and assembled around 1977. 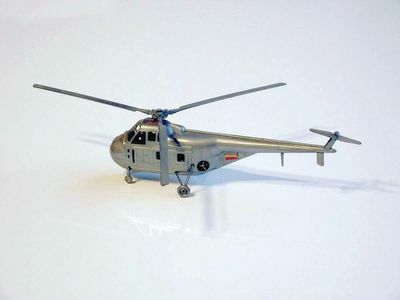 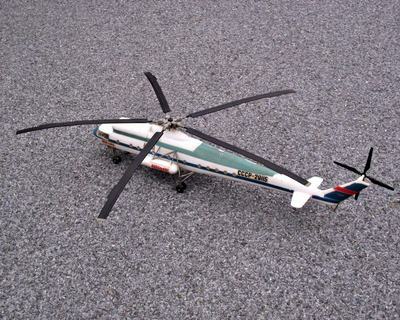 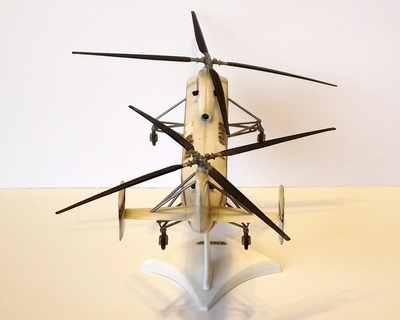 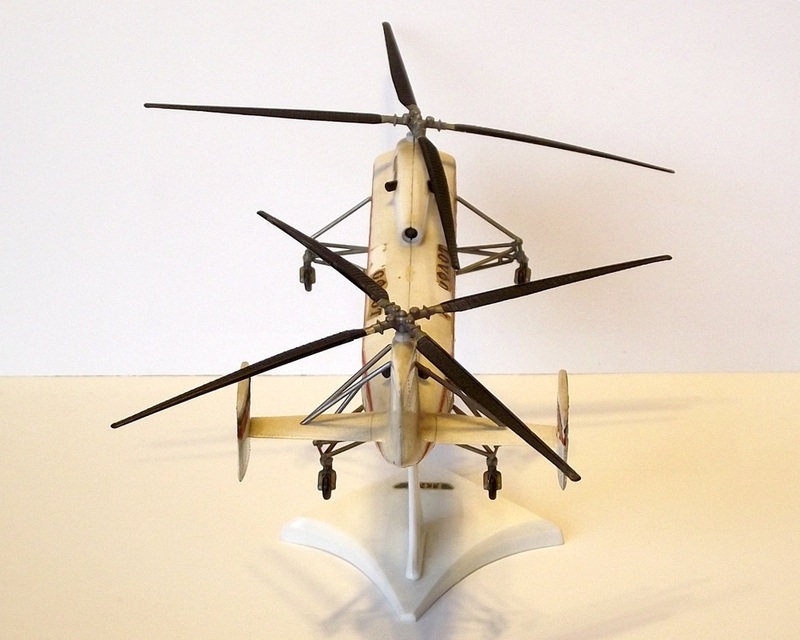 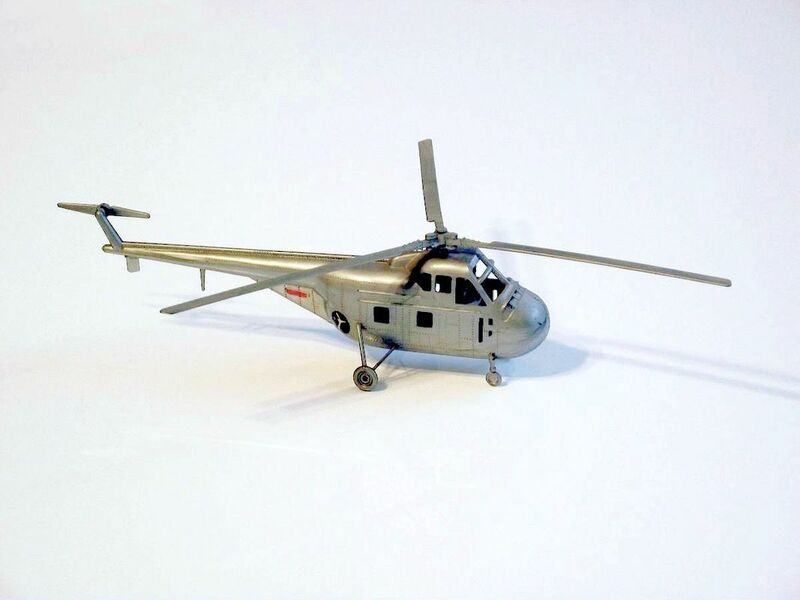 The VEB Plasticart model is the shorter undercarriage version presenting the MI-10K in 1/100th scale. The kit consisted of 56 parts molded in white, silver, black and clear. 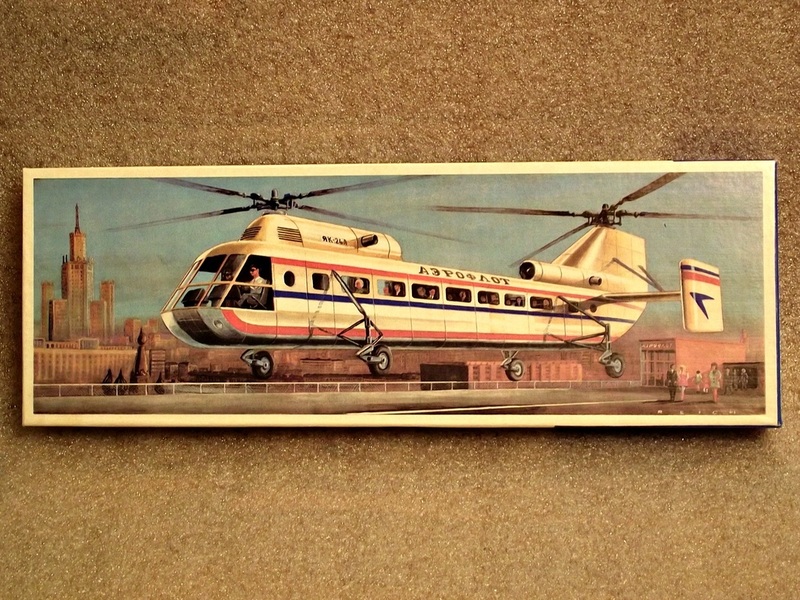 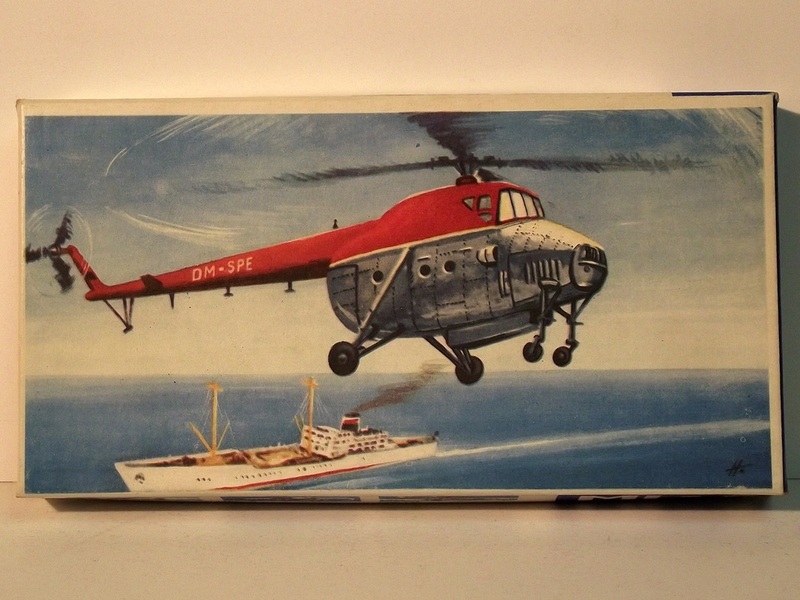 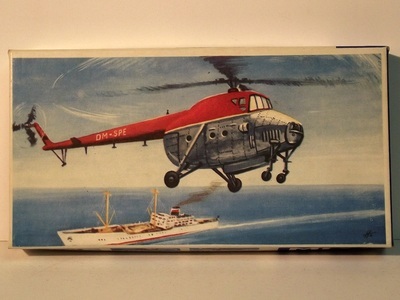 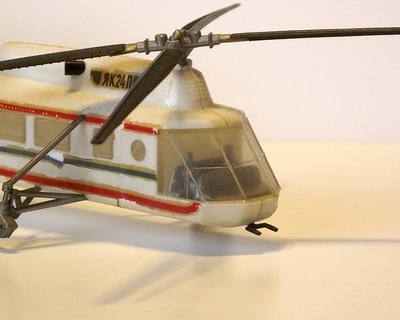 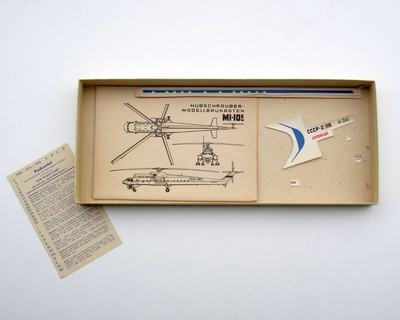 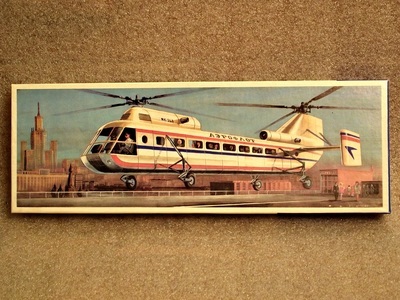 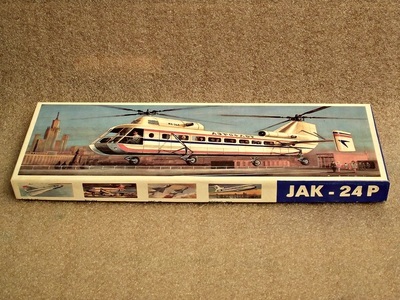 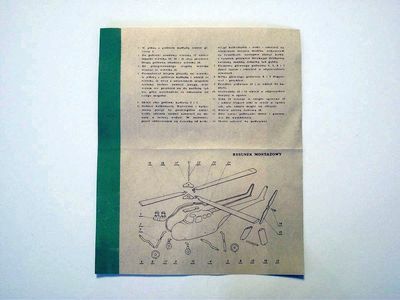 Back in those days there was no paint available either in the box or separately so the only way to finish the helicopter was to use the included AEROFLOT decals. 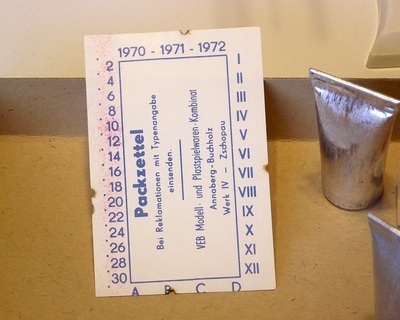 You can see the state af the decals applied in 1977 in the above pictures taken in 2017. 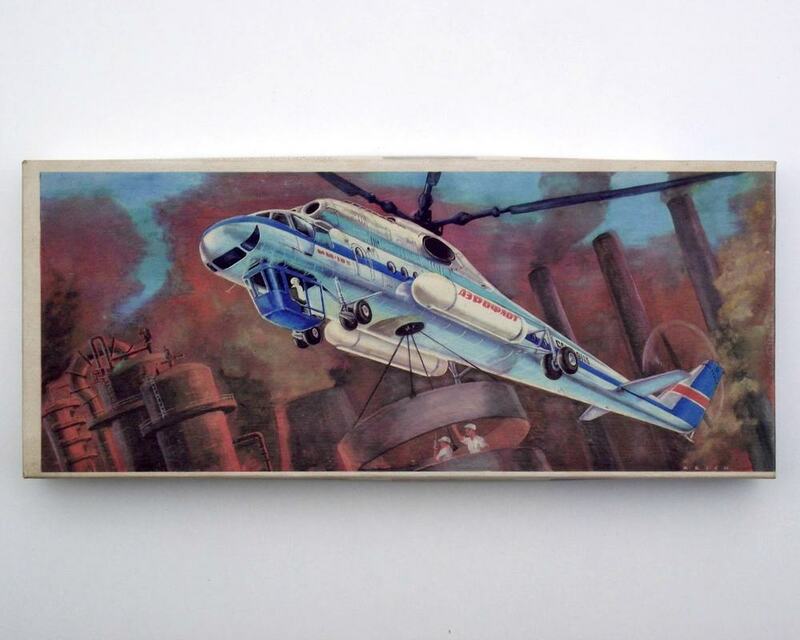 The wonderful boxart painting is signed by REICH. 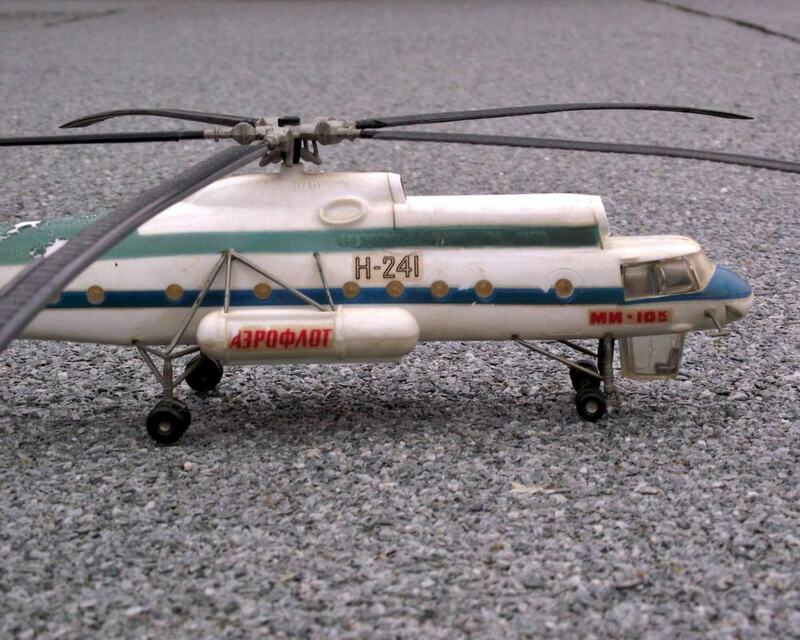 This is the JAK-24P (YAK-24P) passenger helicopter built by soviet manufacturer Jakolew (Yakolew).This version, the JAK-24P was the last version of the military JAK-24. 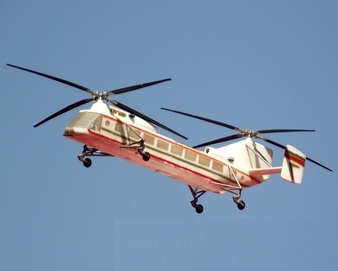 It was presented in 1961 as a 39 passenger helicopter but in the end it was never manufactured. 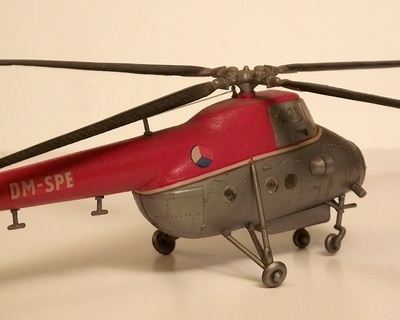 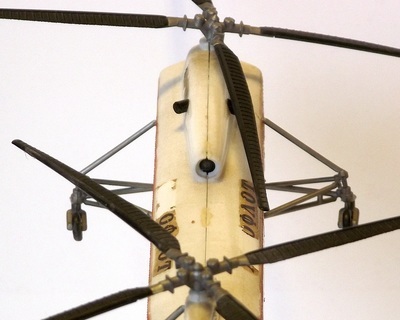 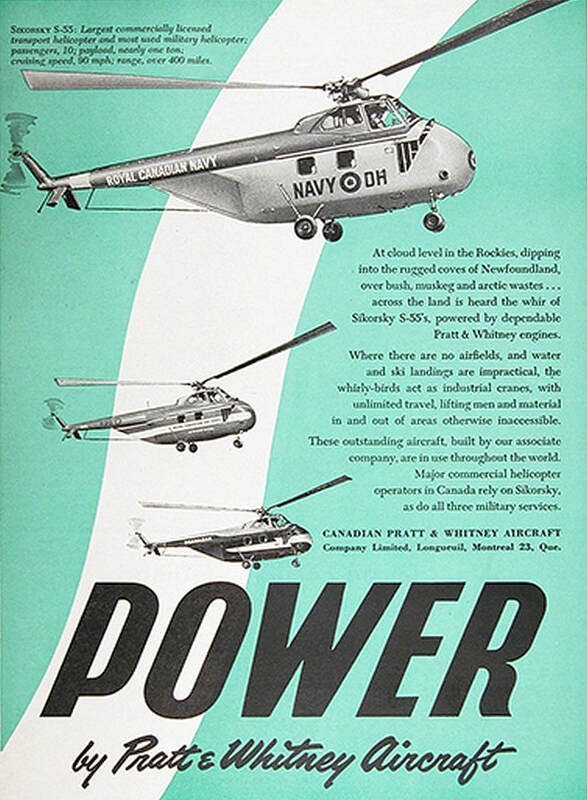 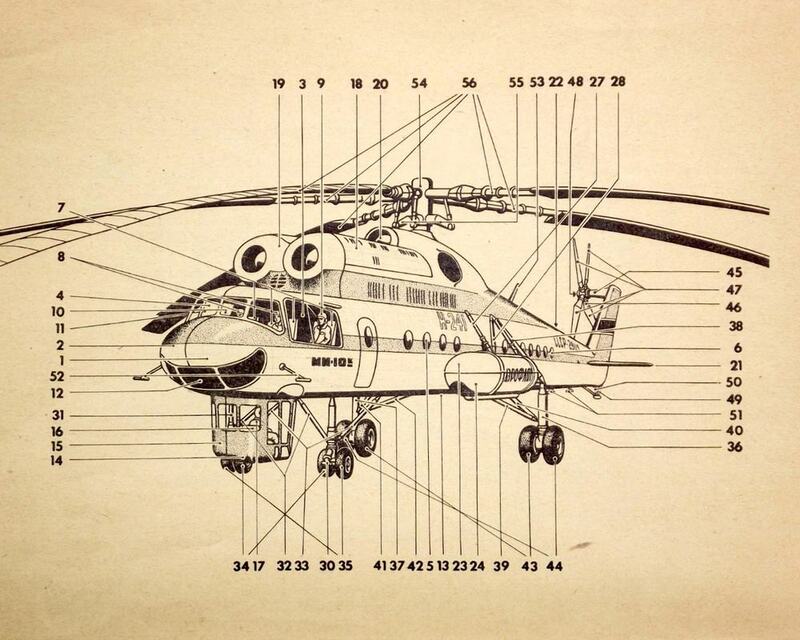 ​In real life this helicopter was introduced in 1950 by the U.S. Air Force. 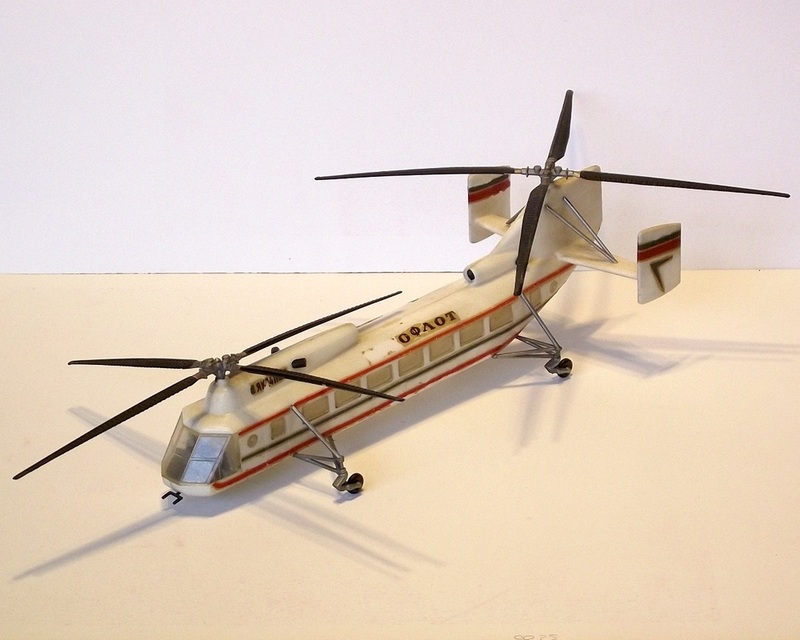 It was built by Sikorsky with model number S-55 / H-19 Chickasaw. It was also license-built by Westland Aircraft as Westland Whirlwind in the United Kingdom. 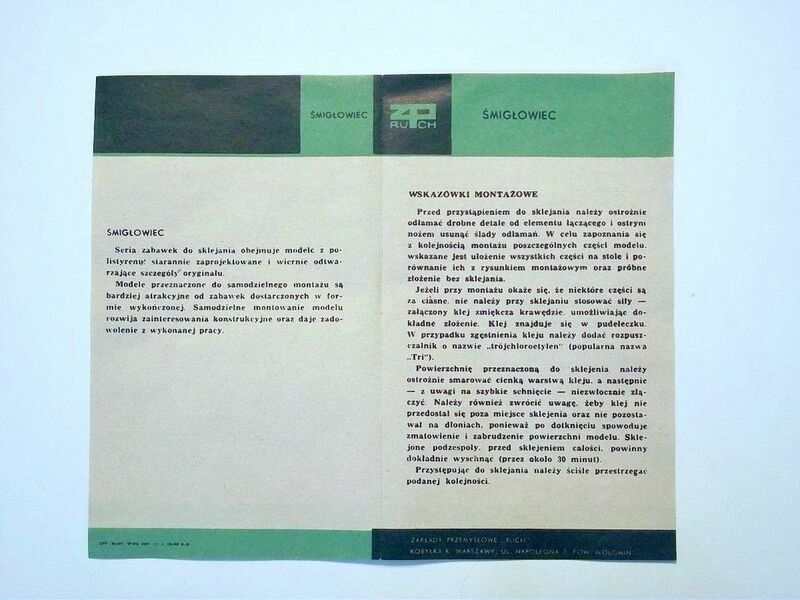 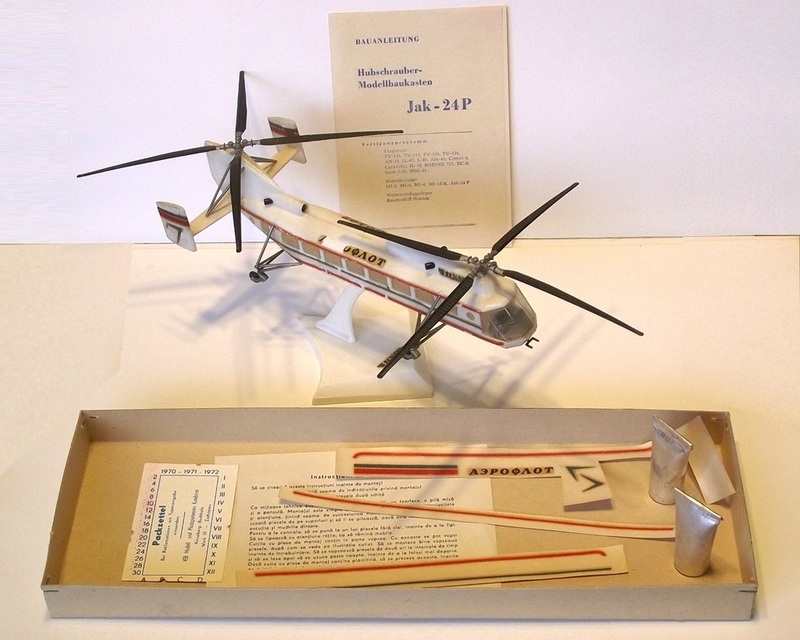 The scale model presented here was manufatured in the late 60's by ZP RUCH of Poland. 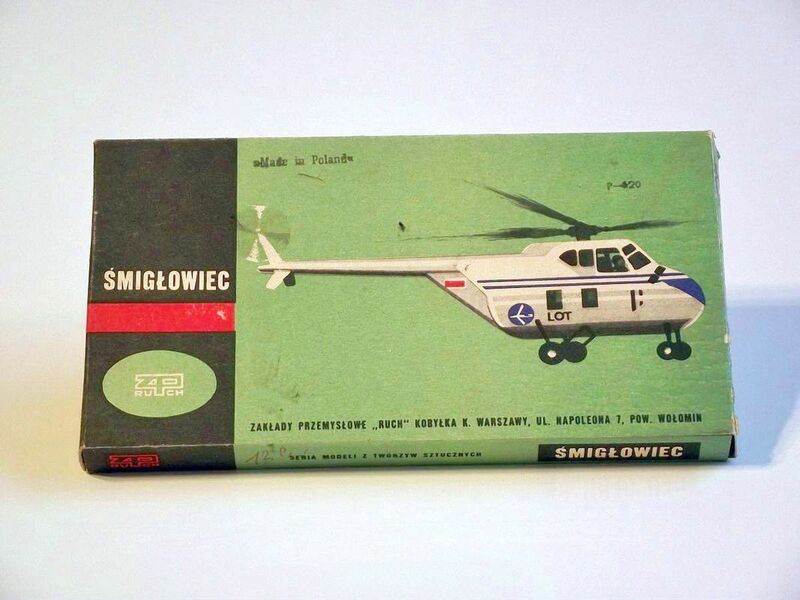 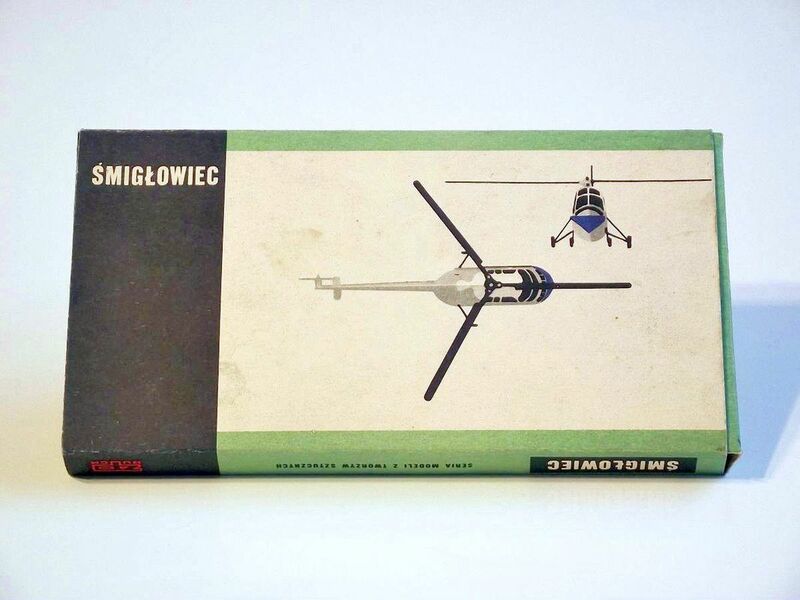 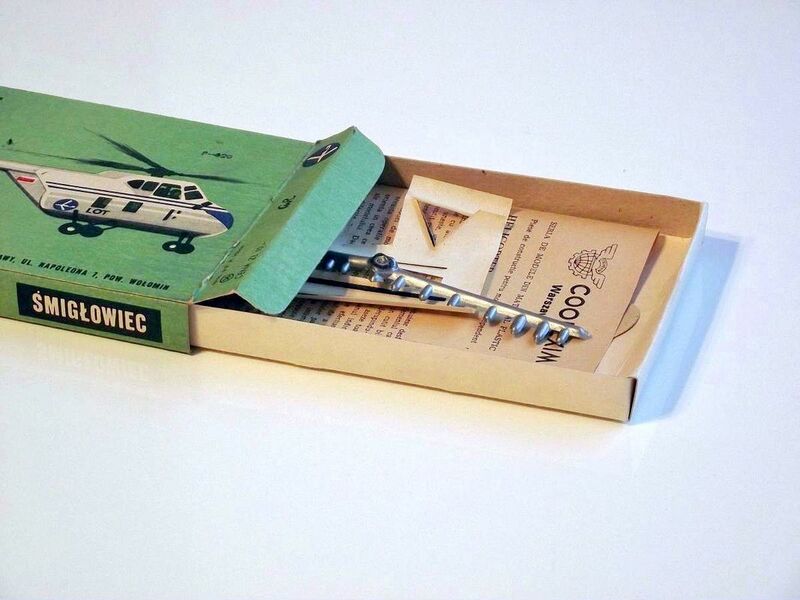 On the box art you can read "śmigłowiec" which means simply helicopter, no mention of make or model. 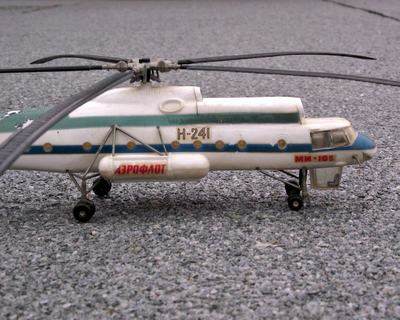 Scale is 1:72. 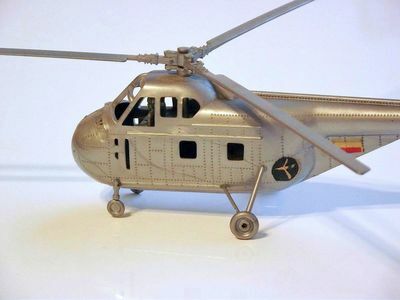 All the parts are molded in silver plastic with no windows while the only moving parts are the rotor blades. ​The provided decals were for LOT Polish Airlines but Wikipedia does not mention Poland as country of operators for the Sikorsky S-55.